Touchscreen Performance and Efficiency Key to Success of Embedded Devices. Synaptics has made several announcements over the past few months related to advancements and customer applications for TDDI. Kevin Barber, Senior Vice President and General Manager of Synaptics talks about the implications of TDDI in their Clearview R6A354 display driver solution for the automotive market. On-cell touchscreen architectures are the current mass-market solution. 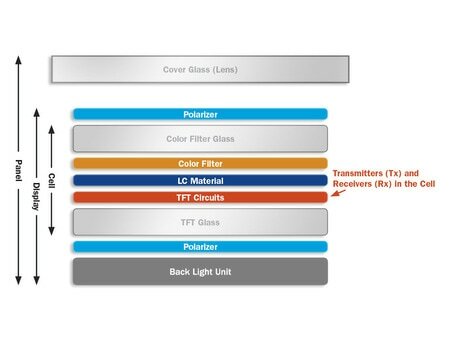 Using this approach, transmitters and receivers are built on top of a color filter glass layer. 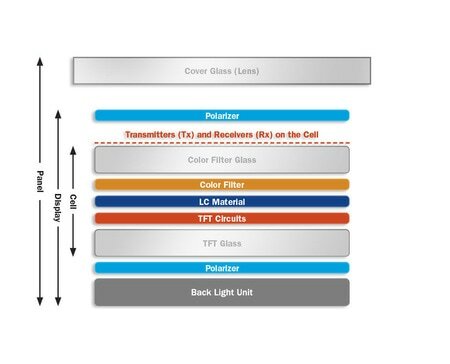 This approach is a good choice for active-matrix OLED displays and larger/curved/flexible displays. The in-cell architecture puts the transmitters and receivers in the cell layer itself. This optimizes cell efficiency while enhancing image quality. Full in-cell designs need just a single flexible printed circuit connector, which reduces cost and increases reliability. 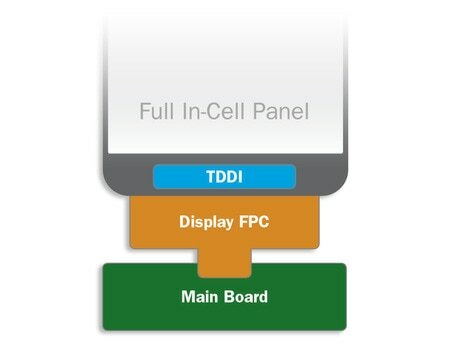 Synaptics TDDI integrates touch and display drivers, which improves design and manufacturability. There are a number of wins including better touch performance, lower cost, reduced power consumption, lower complexity, and greater reliability.